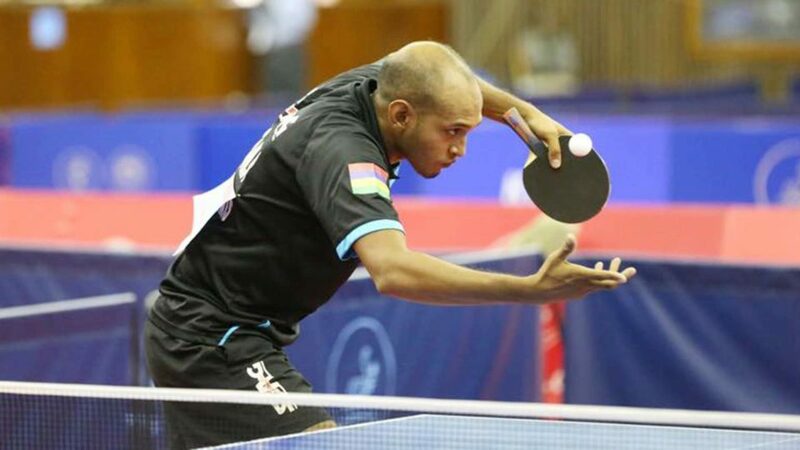 At 28, Arnachellum Allan is the captain of the Mauritius nation team to several competitions and after making his last appearance at the World Championship in Paris 2013, he will be returning to big stage for the Indian Ocean Island nation in Budapest. A realist Arnachellum Allan knows what he would face in Budapest and he has admitted that the journey to the European city would not come without its challenges. Despite putting his mind on the 2019 Indian Ocean Games, Arnachellum Allan is also aiming for good result and outing in Budapest. “My preparation is going on well as I am training hard to achieve my goal in Budapest. I am really motivated for this competition. I am mentally and physically prepared for the big day,” Arnachellum Allan said. Specific target for Arnachellum Allan in Budapest is to advance from the group but he cannot wait to rub shoulders with some of the best players in the world. “My goal is to qualify from the group. I know it won’t be easy as we have good players around (world ranking 200) in every group. I intend to put up a good performance and improve my world ranking. Also the tournament would serves as a good preparation for us for the Indian Ocean Games which will be held in Mauritius in July 2019. But Arnachellum Allan cannot underestimate the uniqueness of competing at the world championship when he said: “Playing at the world championship was a very good experience for me as it would be my 3rd participation in the world championship having featured in the 2013 edition in Paris, France as well as the team championship in Malaysia in 2016 throughout my career. The tournament afforded me the chance to see all the best players in the world performing live. But my goal is to qualify from the group in Budapest,” Arnachellum Allan added.